Last 20th of March, 2015, I attended the HSR Business Congress wherein they recognize the efforts of TOP Property Agent in Singapore under HSR International Realtors Pte. Ltd. Fortunately, I was inside the TOP 100 as I was able to serve several Buyers in Woodlands, Sembawang, Yishun, Choa Chu Kang, Ang mo kio estates. My main focus in Singapore Real Estate are Buyers and Sellers of HDB properties namely in Woodlands, Sembawang, Yishun, Choa Chu Kang, Ang Mo Kio estates. I have served several Buyers and I can say that experience made me a specialist and an expert on my trade. The year 2104 was a challenging year for the people dealing with Singapore Real Estate. It was the year when I first saw houses selling below it's valuation. Everyone from property Agents, Bankers, and Conveyancing lawyers experienced a drop in resale transactions. The first quarter of 2014 was not that bad, I still managed to transact HDB's above valuation and Sellers were the one who has a say on how much their property will sell for. But the next 3 quarters reversed and made the Buyers King. From my personal transaction, I even served an HDB Buyer who got a great deal. What I meant was that they bought a house $45k below it's valuation, wow! This totally shocked me as I'm still considered a newbie in the industry, having only 3 years of experience, I still have not yet experienced the complete cycle of real estate which is full of ups and downs. I may say that eventhough property prices went down, the number of houses that I transacted rose up. This was the year where I learned a lot about real estate, one of which is that to be a real Salesperson you need to be able to convince a person (with logic) to buy a property eventhough he has no plans at all. You must be able to help them see the big picture and make them realize the value of having their own home. As what my mentor told me, if you sold something to a person who is already to buy something and then buys it, it's called "incidental sale" swerte sa timing in FIlipino terms. Philippine properties was also one area that I had ventured into, I can say that selling Philippine properties is a learning process for me. Although I sold a couple of condominium units, Singapore Real Estate is still my cup of tea. Focus is what makes a person successful in my point of view, that is why my realization was that for me to be successful in Singapore Real Estate, I need to focus on SIngapore Real Estate. Rental transactions also dropped together with the rental asking prices, but it is still far from the money we paid when I came to Singapore back in yr 2006. I still managed to close some rental cases but fewer compared to last year. I attribute this to the maturity and knowledge of the Filipinos who are living in Singapore for quite sometime. Majority of the Tenants love looking for a house to rent themselves thinking that they can save on Agents fee. For year 2015, my business still focuses on Filipino professional, Pinoys in SIngapore, Filipino PR's who would like to buy sell and rent a home in SIngapore. I'm continuously upgrading myself to be the first choice Filipino Real Estate Agent in SIngapore. Helping Pinoys and giving them honest and sincere service with a heart. My name is Agent Fran Ramos and I aim to be your choice Pinoy Property Agent when you come or live in SIngapore. A few months ago I wrote about the procedure in buying your first home in Singapore. I just wanted to share on the new ruling imposed by the MAS as cooling measures for both Private and HDB residential properties. I know there has been lots of articles regarding this but since majority of us can easily understand thru visuals, the table below illustrates the gist of the changes. Thanks to my banker friend from DBS for sending me the table. Call/SMS me Agent Franz at 96770412 for a more comprehensive discussion. I have been practicing as a Real Estate Salesperson (a.k.a AgentFranz) here in SG for 6 months now, and have been fortunate to have served and continuously serving a lot of Kabayan Clients in finding their first and very own home. So how does one qualify in buying a house here in Sg??? Since most of us are SPR's and were not born with a silver spoon, I'll be focusing more on the purchase of an HDB flat since these flats are more affordable to Filipinos in SG. For those of us who are computer savvy and can easily understand procedures just by reading them, you can actually go to the HDB website for a comprehensive step by step procedure in purchasing a house. Else, you can continue reading this blog and give me a call at 96770412 so I can personally explain the things you need to know and other details you need to prepare for. First step is to check if you qualify for any of the HDB schemes. In laymans term, if you are an SPR, both you and your wife should be an SPR, or either you and your wife are SPR's and 1 of your childrens are SPR's. Granting that you qualify on the first check, next is for you to verify your maximimum home loan amount. This can be done by sending your cpf contribution history and payslip to a banker, or you can ask you Agent, in this case yours truly, to help you in finding a banker. Most Agents have Bankers they have worked with before. Once you know your maximum loan amount then you can start to do your financial planning. I have created a simple excel file that gives you a rough calculation on the costs involved and payment timings. Just send me a request email at agentfranz@gmail.com and I'd be sending you the softcopy. The figure below also shows a sample calculation. Pls. do note that the said file is most helpful in doing a backward calculation for you to assess on the house purchase price (Valuation Price + COV) you can afford. Now that you have an idea on your investing power, it's time to look for a home that you prefer, but wait... not all the houses you see in the ads are available for the taking. There's this Ethnic Integration Policy (EIP) and after 5th of March 2010, SPR quota which restricts SPR buyers to only 5% on a neighborhood level and 8% on block level. So now the question in your mind is how can you check if a you are eligible to buy a unit at a particular block? Answer: email me at agentfranz.com and I'll provide you with an excel file that lists the available blocks in the estate you desire. 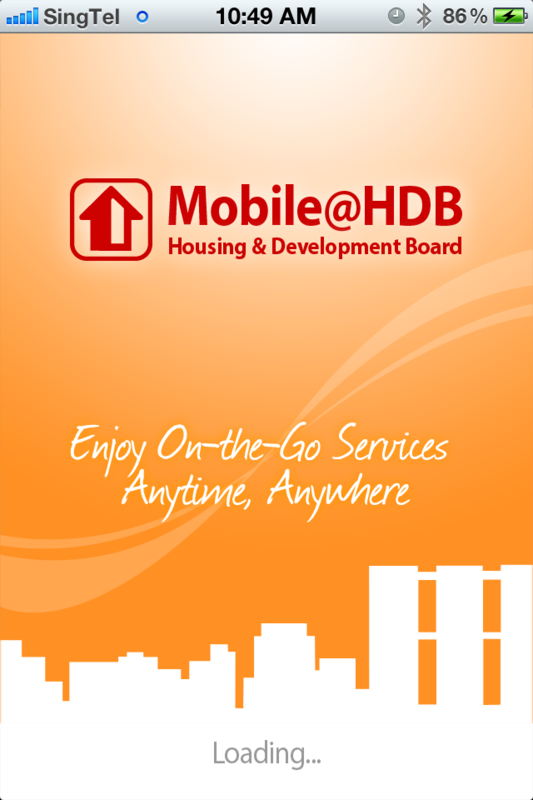 Alternatively, those on iphone, you can download the hdb app in itunes or you can go directly to hdb website. A sample of the fileand the app is as shown below. With everything set, it's viewing time. Normally viewings are done on weekends, usually starts at 2pm onwards. I'll be creating another blog on what to look for in a house and other tips. 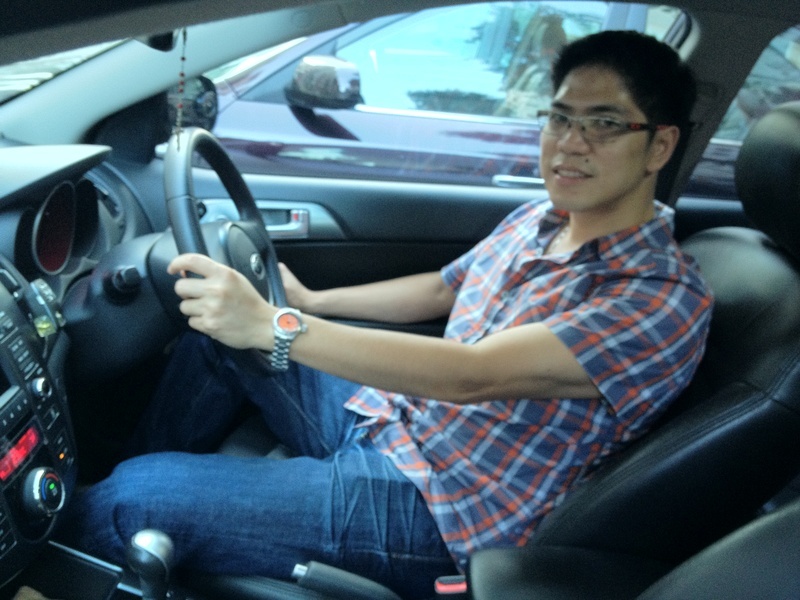 A lot of my clients asks me "How does it differ driving in Sg than in the Philippines?" and my usal response is ... "errr same as driving in the Philippines but on the wrong side of the road." For this blog I'll be sharing my experiences on how I got an SG drivers license, costs of owning a car, it's benefits, and most importantly how I transformed it from being a liability to an ASSET. How does one obtain a drivers license? Well for Us Pinoys who were lucky enough to own and experience driving in our country, the goodnews is that we can just take an exam and convert it. I must warn you though that the exam is not as easy as we thought it would be. It took me twice before I finally passed it. my tip for you is to really buy the reviewer booklet and study it thoroughly. There were questions, that in my almost 20 yrs of driving experience, I never knew before. One example is how far from the turn should you signal before actually reaching the curb. I also did'nt know about the meaning of the yellow zig zag lines on the side road (take note some have a single zig zag line and some have double zig zag lines). Well here's the link to SSDC website, just enroll and book your Theory exam, it takes about a month or two before you can actually take the exam. Bawal ang mangopya since monitored lahat ng CCTV. I must reiterate that you need to study the booklet as your driving experience alone is not sufficient enough to pass this exam. Assuming that you have already obtained your SG driver's license then it's time to hunt for your own car. There are a lot of websites that you can browse through and find the car that suits you. For my case, I went to Automobile megamart, it's like a shopping mall for cars and it's surely heaven for car enthusiasts. With regards to the costs of owning a car, I can say that it varies on the type of Car you will be purchasing. Talking about fixed costs, I roughly spend S$1k/mo on everything, S$90/mo on season parking, S$30/mo on normal parking and ERP, S$50/wk on petrol, and the rests are for the car loan payment and other stuffs. 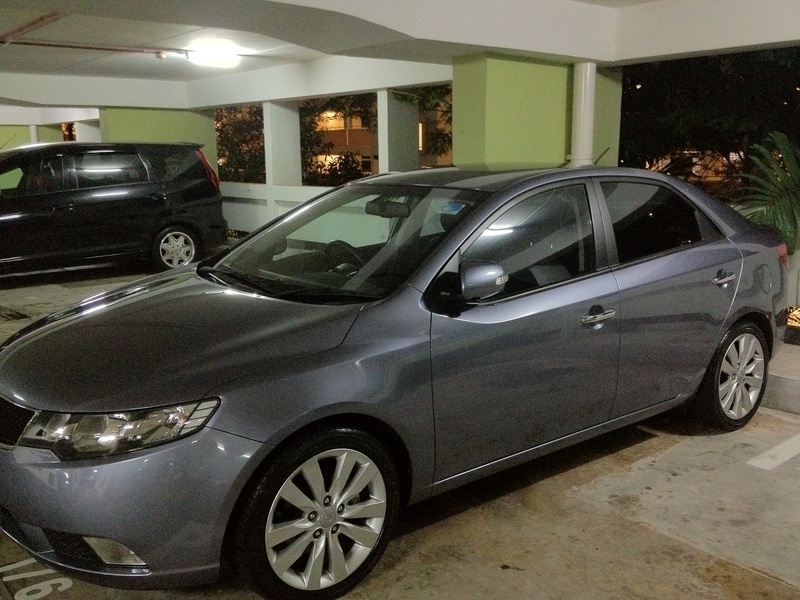 I treat my car as a liability per se, but indirectly I treat it as an asset. It's gives me the added advantage on working as a Property Salesperson. It's always a plus bringing clients for viewing when your driving, it sets the mood of comfort to the Clients, prepping them to give an offer on deserving units. Also, transactions are normally done on weekends so it gives you extra time to spent with your family coz you can go home earlier compared to that when you take public transport.. I do hope you gained something while reading my blog. Pls. do contact me for your Real Estate Property needs either here in SG or in our home country. It's always good to attend Personal Development Seminars like the NAC 2012, it's like the CPD for Self Help. This year round was even greater as I got the chance to attend the seminar with Pau and Jeff, both my work collegues from Intel and GF. We definitely had a blast! Occassions like these makes you feel that anything is possible and everything can be conquered. I definitely learned a lot... from internet marketing, healthy lifestyle, real estate marketing, and would you believe, even dressing your way to success. Hopefully, those of you reading this would also find time to attend similar courses. Key learnings I got was a quote from Eve Michaels wherein she mentioned that it's better to say "I get to..." instead of saying "I've got to..." By saying I get to makes you feel inspired on the things you get to do, unconsciously it makes us be thankful rather than sorry. I also learned from one of the Speaker Nick Halik the definition of an "Investor which is somebody who knows the ROI upfront... day 1." For those investing, do you know the ROI upfront, day 1? If not, then probably your investing on the wrong things. Make the right decision. Are you tired of looking for a flat to rent? Often I'm puzzled with people looking a flat to rent by themselves. They browse the web, shortlist the properties, call the Agents for a scheduled viewing, spend money on transportation to see the unit, negotiate on the price and finally get the house. One problem, they also need to pay an Agents fee, and all the hassle is for nothing. Landlords nowadays are also clever, they engage a Salesperson to find a Tenant for their property for FREE. How can this be? It's because the Salesperson can secure a commission from the Tenant who will rent the property. Had they engaged a Salesperson in the first place, all the hassles could have been avoided and the time spent on this activities could have been spent on other productive activities. Also, most people who are renting are sharing the flat with other flatmates thus the commission paid to the Agent are divided equally. So why trouble yourself, call Agent Franz to facilitate your rental needs. I'll pick you up from your block and find the home that you desire. Fed up with the never ending increase in rent? A few years ago when I first came to Singapore, I told myself I'll be saving money and the most is I'd be staying in this country for five years. 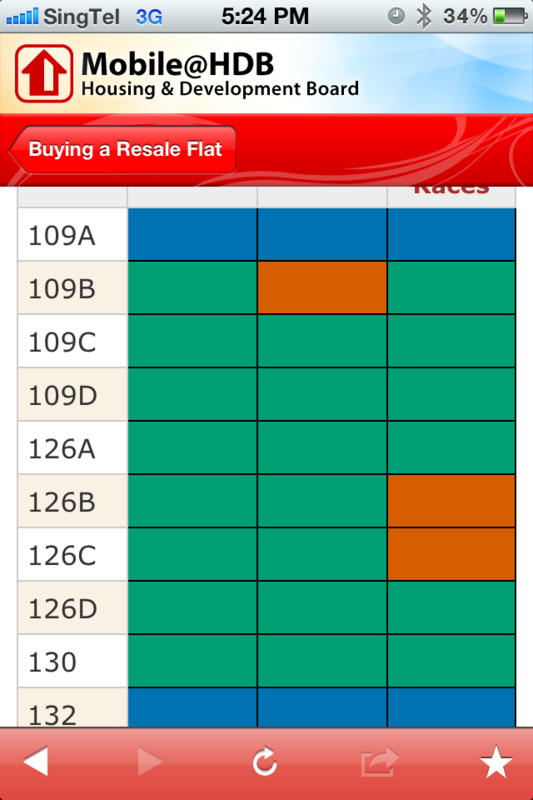 Back then we were still lucky and was able to stay in a condominium with a monthly rental of $1300/mo, 4 housemates with 3 bedrooms each pays about $400 for everything, it's a steal if you would compare in today's market right? A year went by and I was given a salary increase of about $100 and was ecstatic, my increase was like I was promoted if I were still working in the Philippines. Guess what? the salary increase all went to my rental payment and it went on for several years till I finally decided to bite the bullet and purchase our own house which turned out to be the best decision I ever made. Now I enjoy the benefit of investing my previous rental cost and receiving additional rental income from renting our spare bedroom. It's like living in my own home for free, well technically not as my mortgage is deducted from my CPF account but what the heck I'll be able to get it back when I decide to sell the house. Are you in the same situation as I was when I was still renting? Why not buy your own house and be part of the growing community of Filipinos having their own home in Singapore and reaping rental income benefits. Call me now and I would provide you a forest view of the sale process "FREE OF CHARGE!" for you to assess your eligibility to buy. I came to Singapore a few years ago with full of enthusiasm. My salary easily tripled and I was feeling good about it. Don't get me wrong but saving back then was my utmost priority, My game plan was to save as much as I can at the shortest possible time, invest the money so I can go back in the Philippines and spend my time with my family. Then came the first paycheck, I felt so proud and told myself I deserve a reward. Having resigned from Intel, I really missed having my own laptop, so without thinking twice I bought my own acer laptop and "viola!" my first paycheck was gone in sixty seconds. None the less, saving was set aside for the mean time thinking that I would spend less on the next paycheck. A year passed and my collection of gadgets were piling up, this time round I discovered the magic of "credit cards" and the beauty of "12 months zero interest." Now I considered myself a gadget freak, macbook was in so I bought one, DSLR's were very popular so I also got one together with the expensive lenses and accessories like battery grips, external flash, crumpler bag, etc. Ipod's and Iphones were also in my list, but do take note that each year when a new model was released I would purchase anew and send my old one to the Philippines, yes your right, my mom was my benefactor. Gadgets were not the only things I spent on, I would also go back frequently in the Phils and spend like crazy. Buy perfumes, watches, shoes, shirts, etc. My thinking was that previously I only get to go shopping during Christmas after the 13th month pay was given and now that each month is like having bonus then I deserve to spend more. Looking back, how I wished I spent my money wisely. How I wished I read RICH DAD POOR DAD 6 years ago, then maybe I would have my own house in the Philippines now. The monthly credit card installment I was paying on my gadgets would have covered paying for my future house mortgage. Was my story your story? Or you want your story to be one which will be the inspiration for others. Why not invest your money in a property in the Philippines? I can help find you an investment that would suit your capability and needs. Remember that "We go the direction we face."